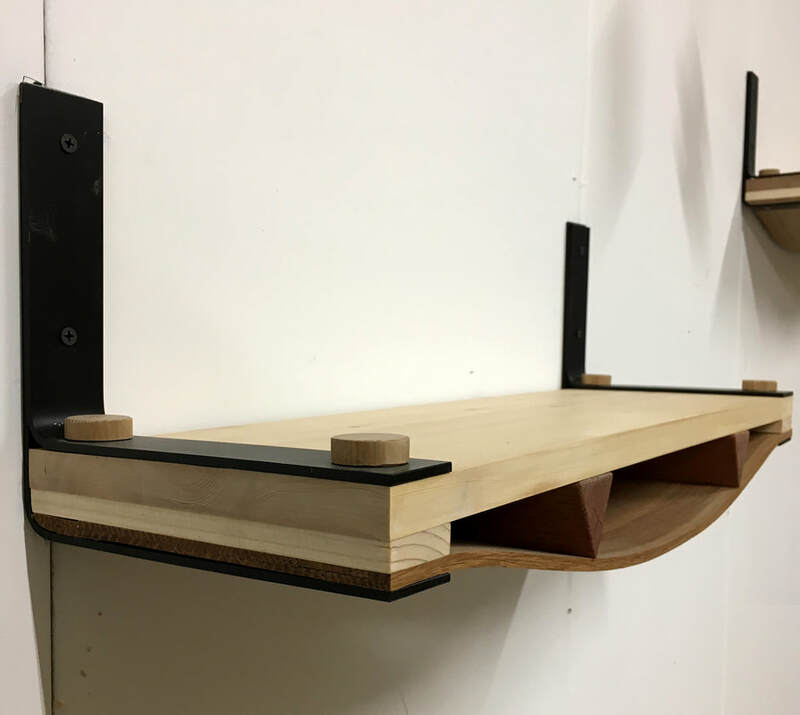 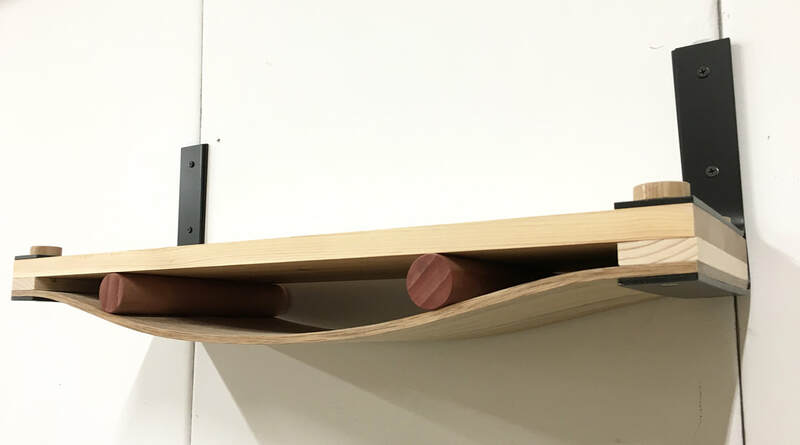 The Tension shelf consists of layers of different types of wood. 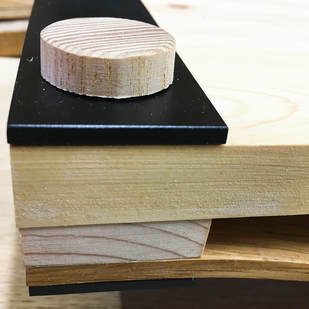 The clamps in between the layers force the material to curve, adding an extra level to the shelf to store small things. 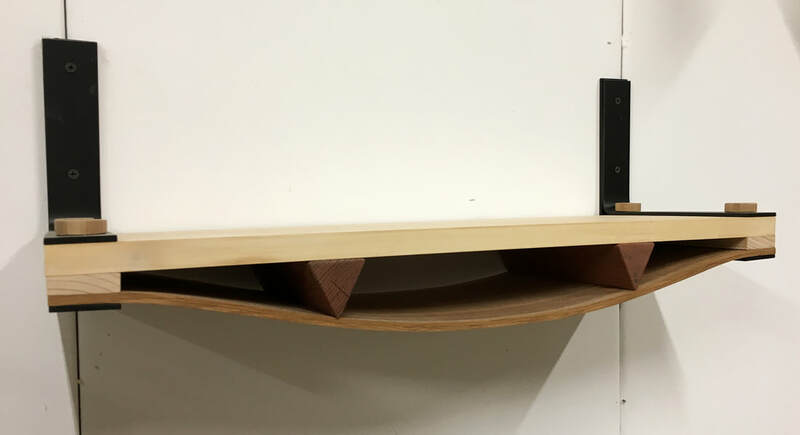 The shelf is partly made of reclaimed wood and dyed with natural coloring.